By using the Site, you signify your assent to these Terms and Conditions. If you do not agree to all of these Terms and Conditions of use, do not use the site. Administrator(s) of infrared-light-therapy.com may revise and update these Terms and Conditions at any time. Your continued usage of this website indicates that you accept those modifications. infrared-light-therapy.com does not provide medical advice and nothing contained herein shall be construed as medical advice. The contents of infrared-light-therapy.com, such as text, comments, graphics, images, videos and other content contained on this site are for informational purposes only. Statements on this website have not been evaluated by the Food and Drug Administration, and are not intended to diagnose, treat, cure or prevent any disease. Always consult your personal physician before starting any fitness or exercise program or changing dietary habits. The content of this site is not intended to be a substitute for professional medical advice, diagnosis, or treatment. It is not a substitute for a medical exam, nor does it replace the need for services or counsel provided by medical professionals. 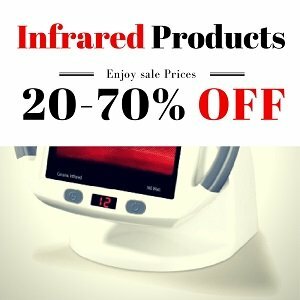 infrared-light-therapy.com accepts and displays paid advertisements including but not limited to CPC (cost-per-click) advertisements and banner advertisements. infrared-light-therapy.com also participates in affiliate programs which may include Amazon.com, among other vendors. When you click on some, but not all, links at infrared-light-therapy.com, or purchase from some, but not all, companies mentioned at infrared-light-therapy.com and its administrator will earn money from these programs. 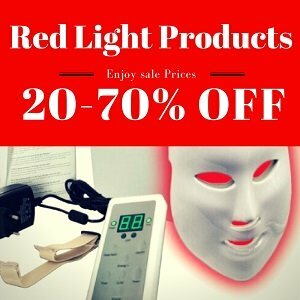 infrared-light-therapy.com does not make claim to, or verify any of the information found on third-party websites, including advertisers and affiliates. Your use of third party sites is at your own risk. Further, use of the Resources is at your own risk. Site Administrator(s) are not responsible for transactions resulting from user’s use of Resources. Pain in Lower Back and site administrators are not a party to any transaction resulting from user’s use of the Resources.